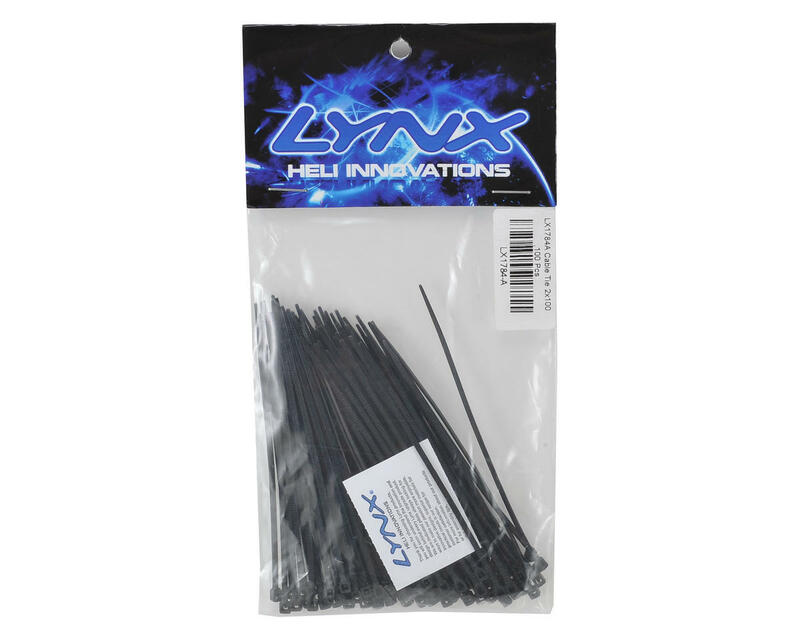 A package of one hundred 2mmx100mm zip ties from Lynx Heli. 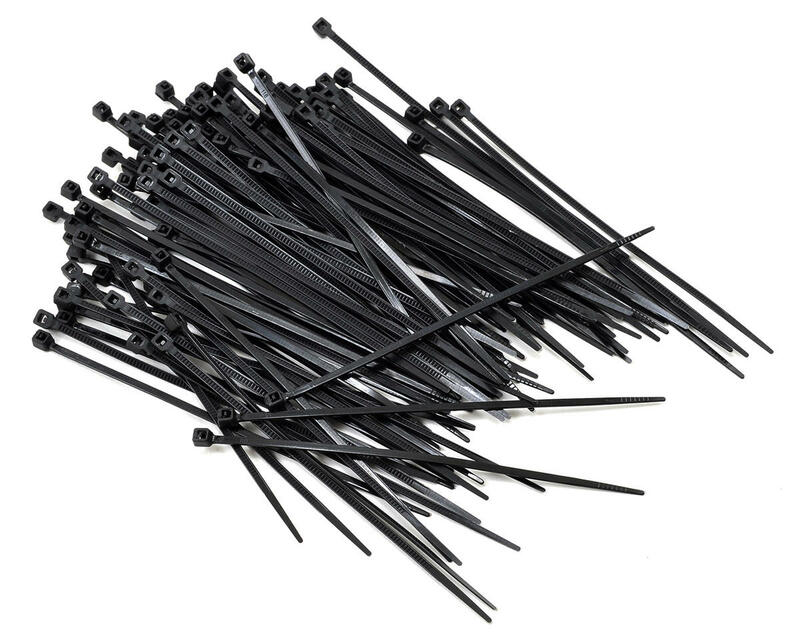 These are unique in that the width is significantly smaller than other conventional 100mm (4") zip ties, and can really get into tight places where others can't! These make a great addition to any field box, or tote box, and you shouldn't be caught without them!